Huge 10.16 acre corner property only 6.5 miles to Hartsel! No charge for the old log cabin on this property! Live off-grid your way, yet not far from town. Road frontage on two sides! Get a great deal on this 'Treasurer's Deed' lot! Terrain: Level terrain with hills nearby. Huge corner lot at a great price! There is an old fenced log cabin on this property. You may look around at the outside but please do not go inside. We are unsure about the integrity of the structure, so again we ask that you do not go inside. 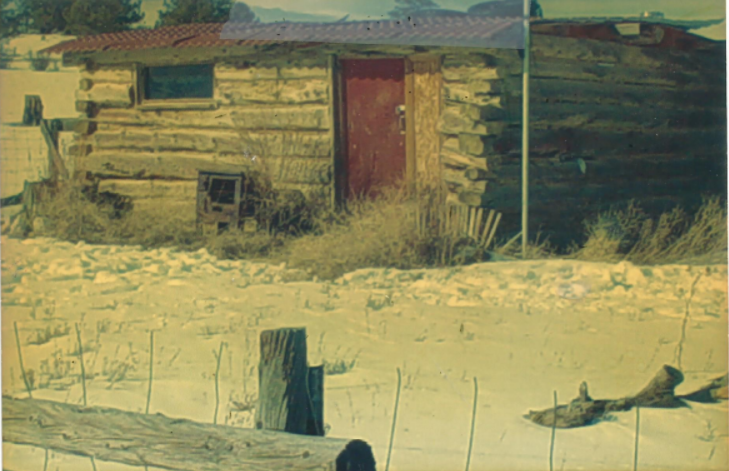 This land is priced as vacant land and the cabin comes with it 'as-is'. The old photo below was given to us by the previous owner and may not reflect the cabin's current condition. ​Ok, so this is a "Treasurer's Deed" lot. That simply means that sometime during the past 7 years, Park County issued a Treasurer's Deed to an investor that had previously purchased a tax lien certificate on this lot at a tax lien auction. This action by the county automatically places a cloud on the title for a period of 7 years. So, what are the disadvantages of buying a TD lot? Two things: First, according to the county we may not warrant the title, which means we will convey this property with a Quit Claim Deed, rather than our usual Warranty Deed. Second, if you're planning to build a home using a builder's loan from a bank, this would not be a good lot for you because your bank would require title insurance on the property and a title insurance company is probably not going to write a policy on a TD lot until 7 years after the TD was issued. This TD was issued in April 2012.